The Tampa Bay Bloggers are once again hosting an Instagram challenge this month! 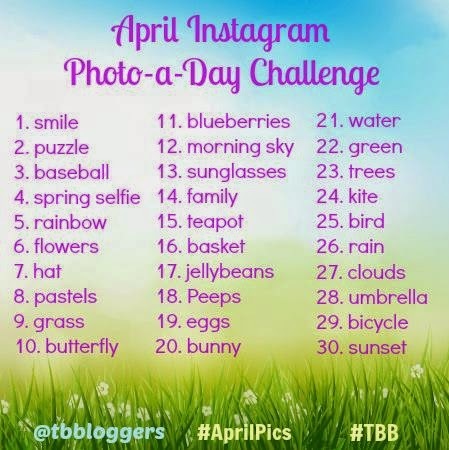 All you have to do is post your picture for each word to Instagram on the appropriate day with the hashtags #AprilPics and #TBB and tag @tbbloggers . You can also tag me at @Latsyrc728 if you would like. This challenge is just for fun, but there will be a lot of us Tampa Bay Bloggers commenting and liking the photos that are tagged. This is a great way to build your Instagram media exposure! Just remember to have fun with it.